The rate of HIV infections diagnosed in the United States each year fell by one-third over the past decade, a government study finds. Experts celebrated it as hopeful news that the AIDS epidemic may be slowing in the U.S.
"It's encouraging," said Patrick Sullivan, an Emory University AIDS researcher who was not involved in the study. The reasons for the drop aren't clear. It might mean fewer new infections are occurring. Or that most infected people already have been diagnosed so more testing won't necessarily find many more cases. "It could be we are approaching something of a 'ceiling effect,'" said one study leader, David Holtgrave of Johns Hopkins University. The study was released online Saturday by the Journal of the American Medical Association. 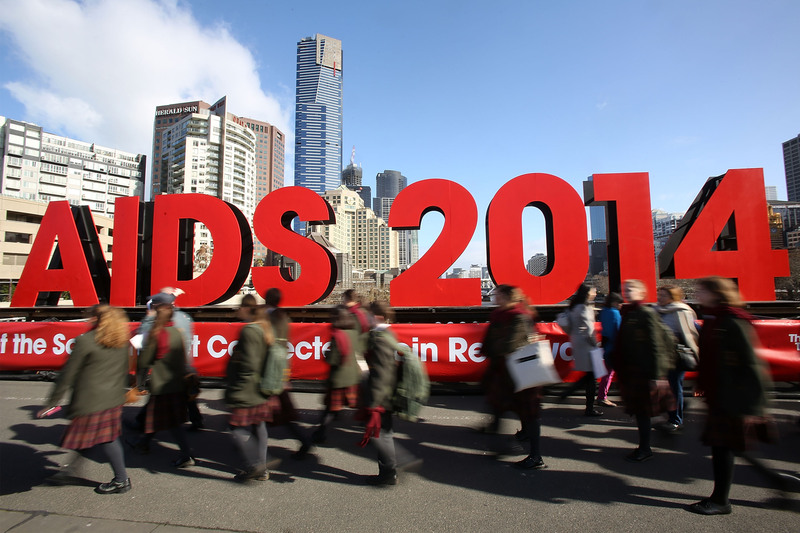 It is part of the journal's special report on HIV research, issued ahead of the International AIDS Conference that began Sunday in Melbourne, Australia. HIV is the virus that causes AIDS, which destroys the immune system. The World Health Organization estimates 35 million people globally have the virus. In the United States, 1.1 million people are thought to be infected, though many don't know it. The study is based on HIV diagnoses from all 50 states' health departments, which get test results from doctors' office, clinics, hospitals and laboratories. The data span a decade, making this a larger and longer look at these trends than any previous study, said another study author, Amy Lansky of the federal Centers for Disease Control and Prevention. The findings: 16 out of every 100,000 people ages 13 and older were newly diagnosed with HIV in 2011, a steady decline from 24 out of 100,000 people in 2002. Declines were seen in the rates for men, women, whites, blacks, Hispanics, heterosexuals, injection drug users and most age groups. The only group in which diagnoses increased was gay and bisexual men, the study found. The diagnosis rate is a direct measure of when people actually tested positive for the virus. The diagnoses may be identifying infections that happened recently or years before. The study found diagnosis rates dropped even as the amount of testing rose. In 2006, the CDC recommended routine HIV testing for all Americans ages 13 to 64, saying an HIV test should be as common as a cholesterol check. The percentage of adults ever tested for HIV increased from 37 percent in 2000 to 45 percent in 2010, according to CDC data. Lansky acknowledged that given the testing increases, the new findings may seem like a bit of a paradox. One might assume that "if more people get tested, you're more likely to find more people who are infected," she said. But several factors could explain the decline. One is Holgrave's 'ceiling effect' theory. Another is a possible ebb in new infections. The CDC has been estimating about 50,000 new infections occur each year and that number has been holding steady in the past decade. That estimate comes from reports from 25 city and state health departments, joined with statistical modeling. Lansky said maybe new infections are waning. Or maybe not, she and other experts said. How could new infections be holding steady when diagnoses are falling? Perhaps the infection count might be buoyed by the expanding epidemic in young gay and bisexual men, said Sullivan, the Emory researcher. The CDC recently recommended a new approach to help combat the spread of AIDS among high-risk groups, encouraging the use of prescription medications which can help reduce the risk of contracting the virus. If used consistently, this approach, called pre-exposure prophylaxis (PrEP), has been shown to reduce HIV infection rates in prior studies by as much as 90 percent, the CDC said when it issued the recommendation in May.